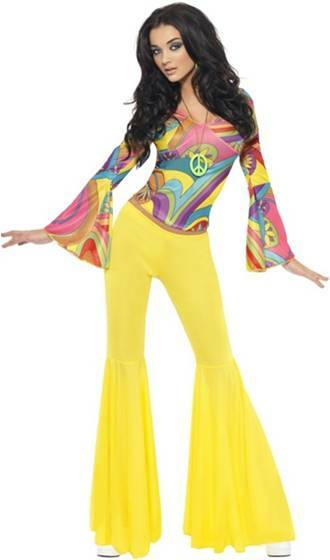 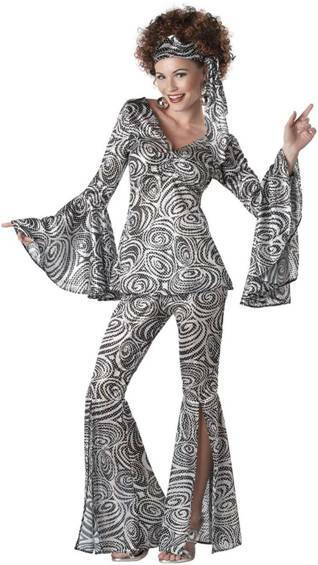 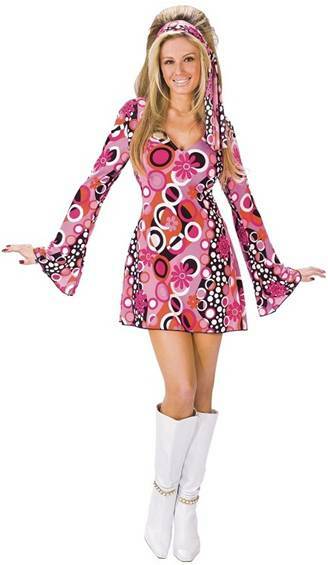 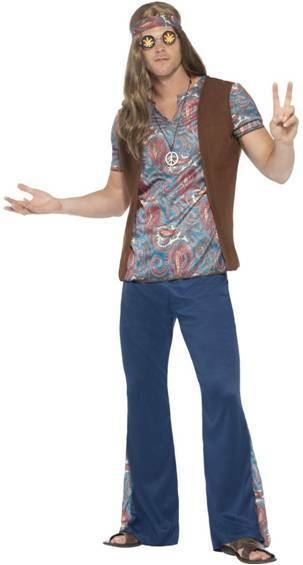 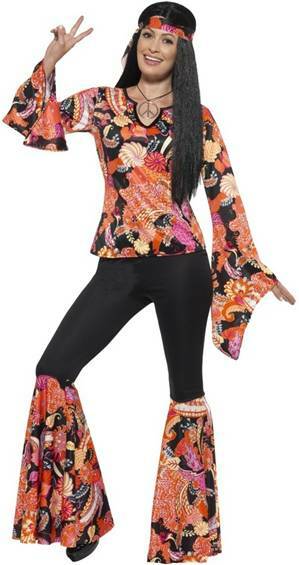 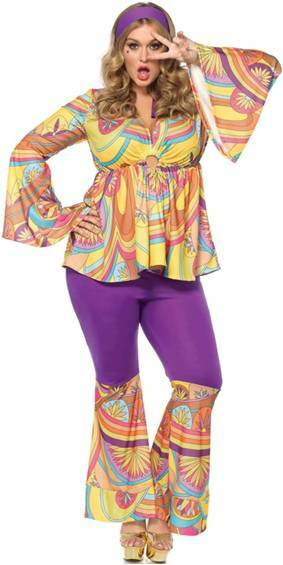 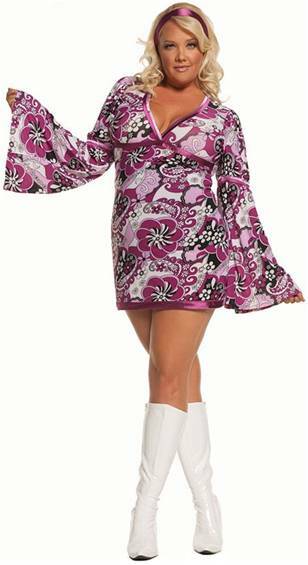 A Perfect costume for hippie parties, sixties (60's) and seventies (70's) parties. 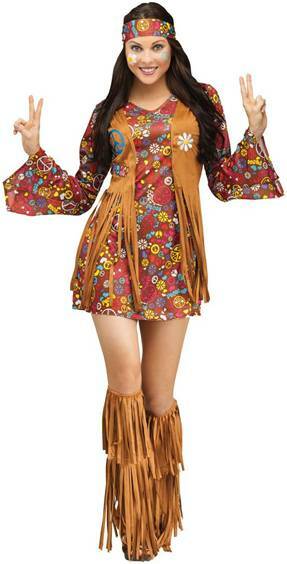 Includes a dress with vest, headband and boot covers. 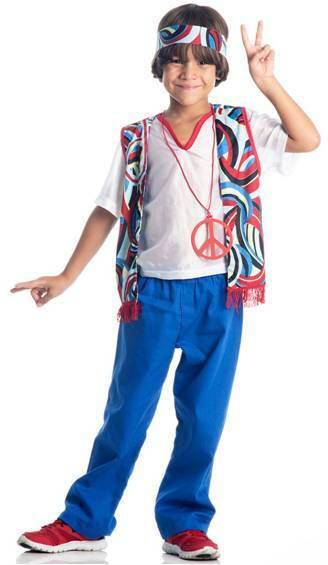 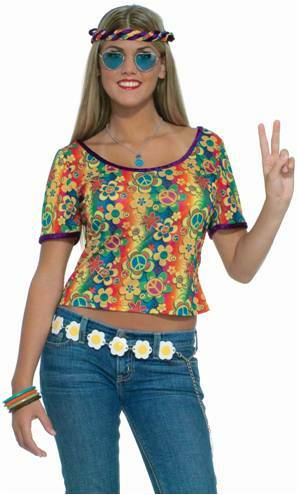 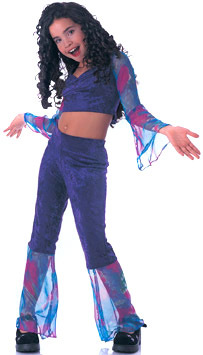 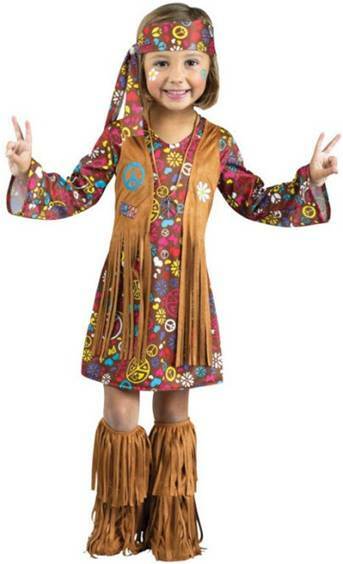 Cute Groovy Hippie costume for girls! 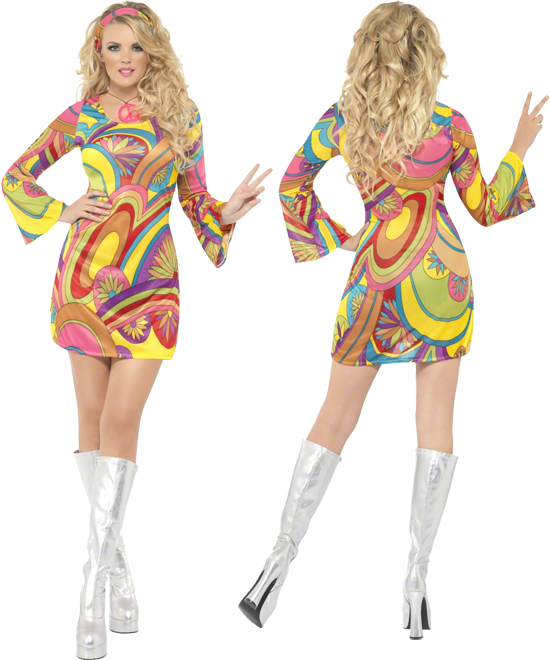 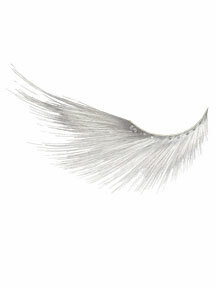 Smaller sizes available under separate listing.